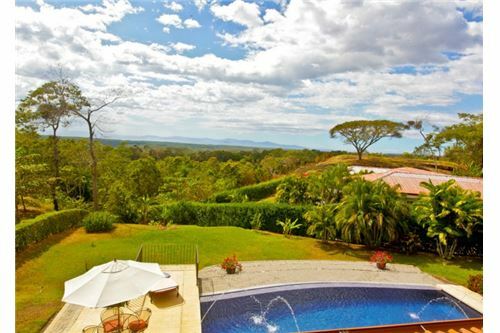 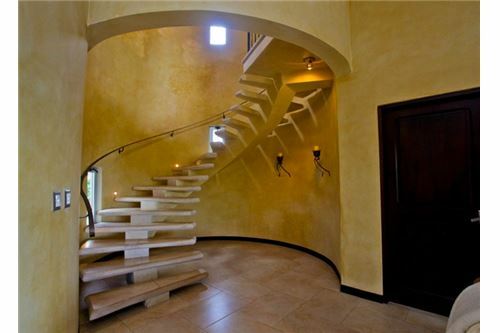 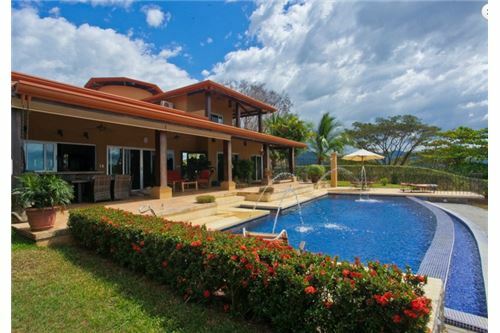 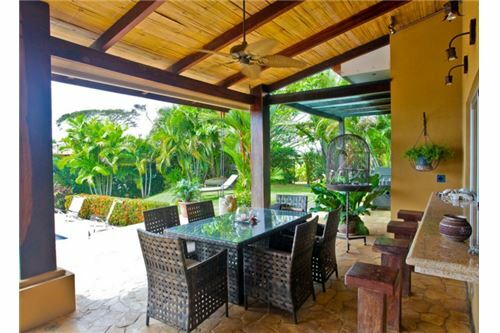 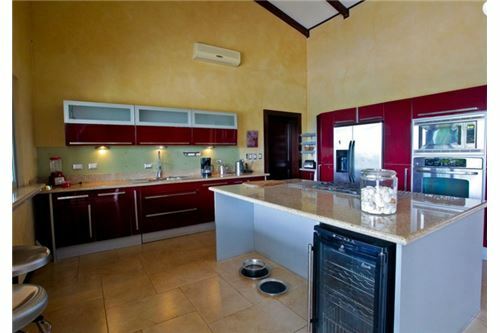 Spectacular Ocean View Home in an Exclusive Neighborhood of Tarcoles, Costa Rica! 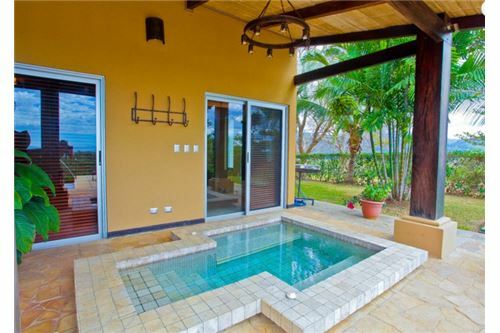 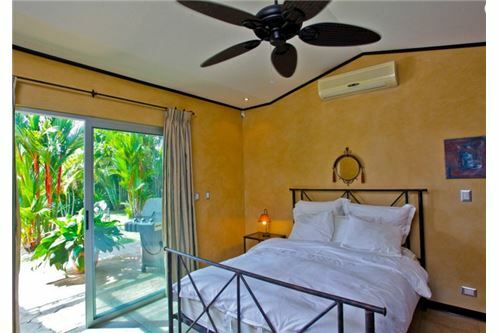 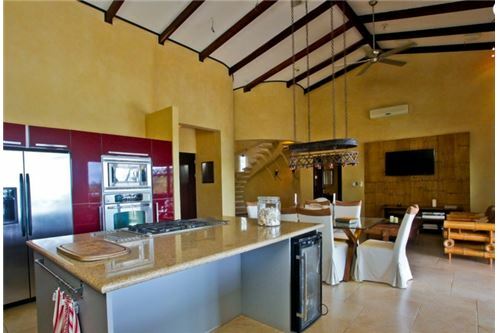 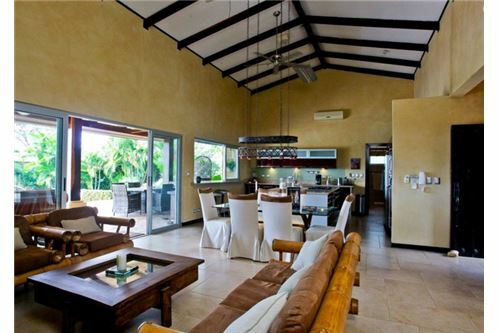 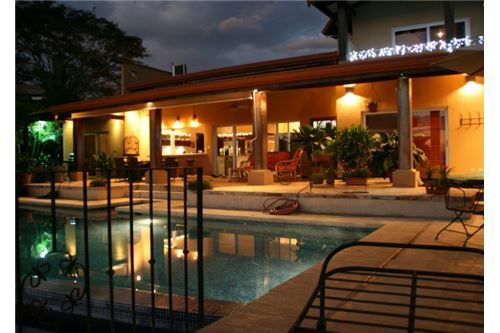 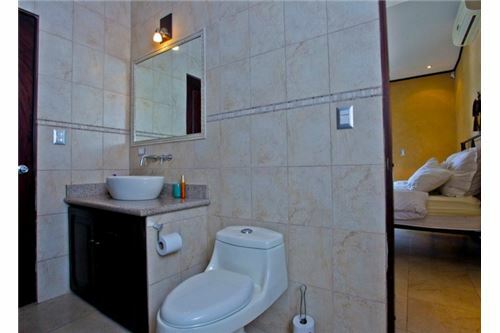 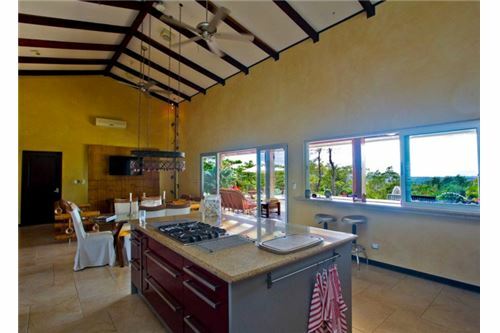 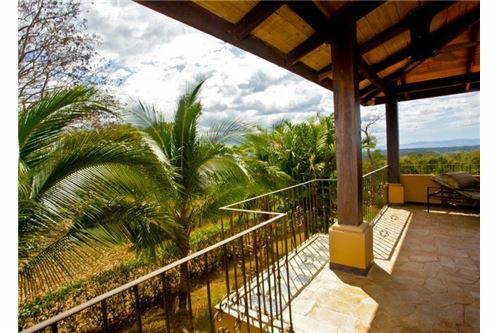 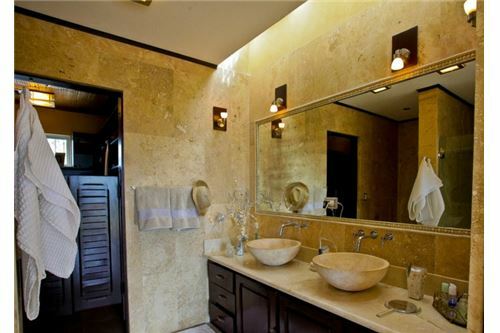 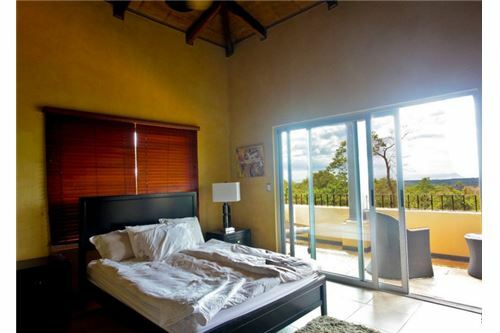 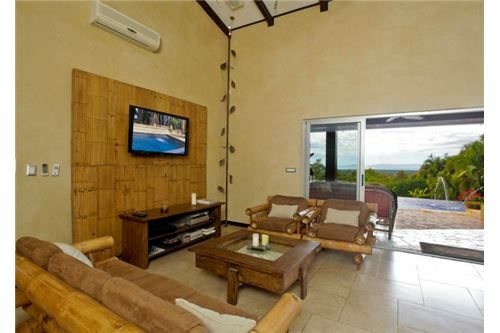 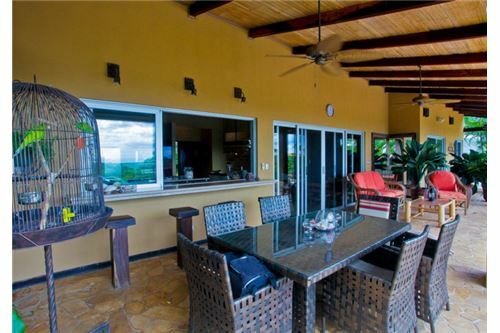 This spectacular ocean view home is located in an exclusive neighborhood in Costa Rica´s appealing Central Pacific area. 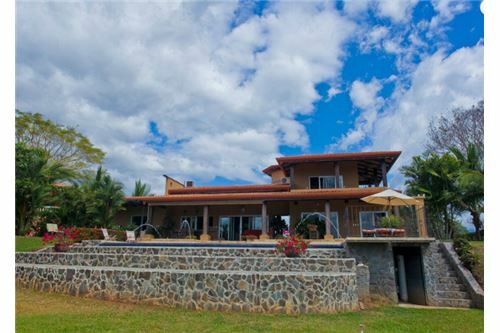 High-end finishes and design make this house unique and incredibly beautiful, qualities that are further enhanced by the stunning ocean and mountain views. 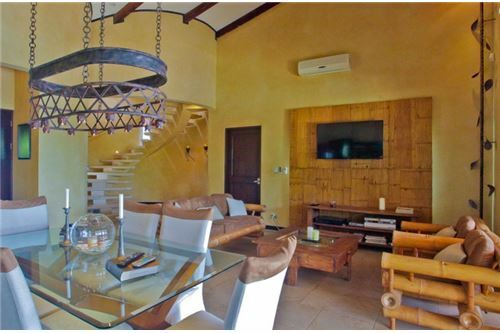 On the first floor, a modern open floor plan offers an expansive kitchen with stainless steel appliances, neat dining and beautiful living room area with large sliding doors and windows that open out onto large covered terrace, infinity pool and jacuzzi. 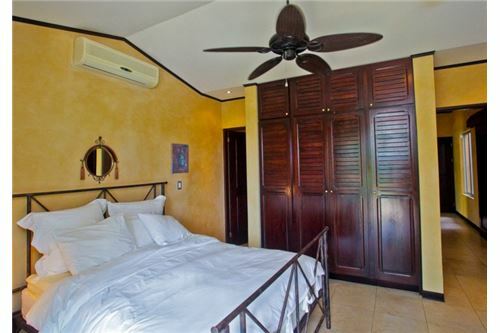 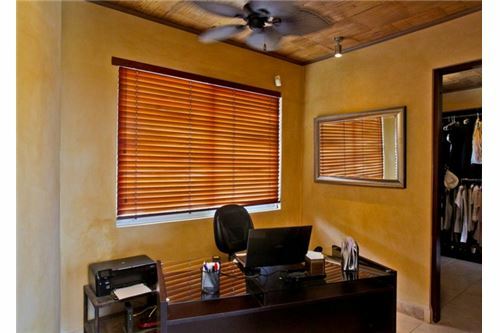 The master bedroom features an office, walk-in closet and large bathroom with double vanity. 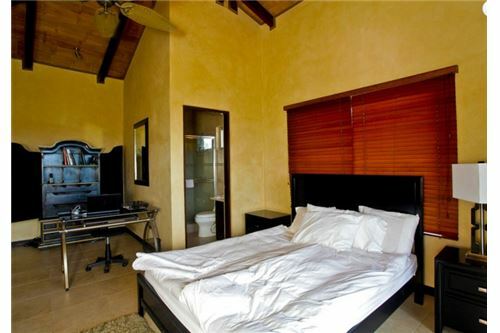 Also on the first floor, there is a guest bedroom, full bathroom, laundry facilities and the garage.Winding stairs lead to a bedroom on the second floor with full bath and wrap-around terrace, offering incredible ocean and mountain views. 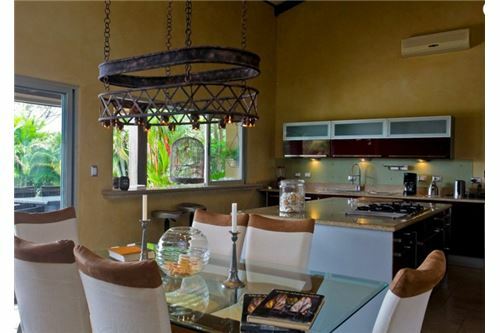 The entire house has high-end finishes in local exotic Guapinol wood, handcrafted iron details inspired on the work of Danish artist Tage Andersen, top-of-the-line furniture, stainless steel appliances and details that make it a very special space to live in. 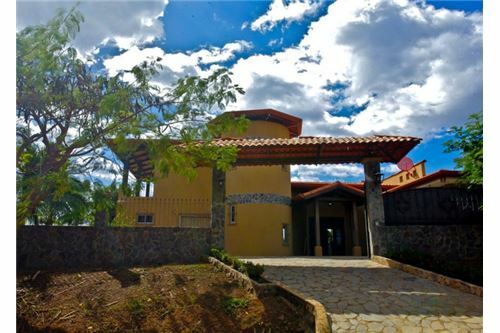 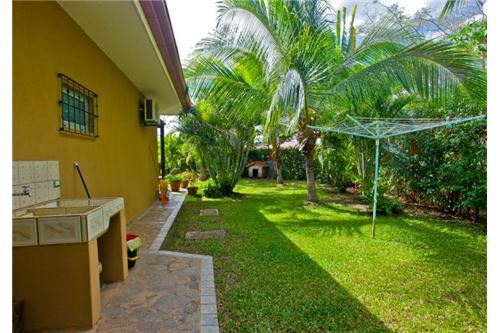 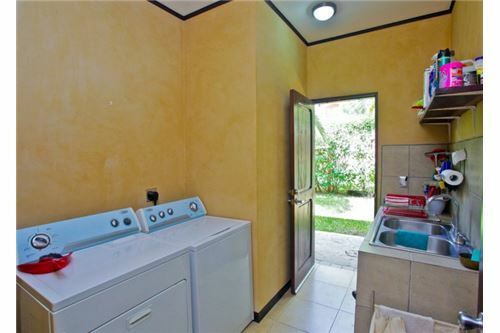 Nestled on 2,000 square meters of manicured yard with built in watering system, the house is conveniently located about half a mile from the main highway and only 45 minutes to San Jose and Escazu cities and the international airport. 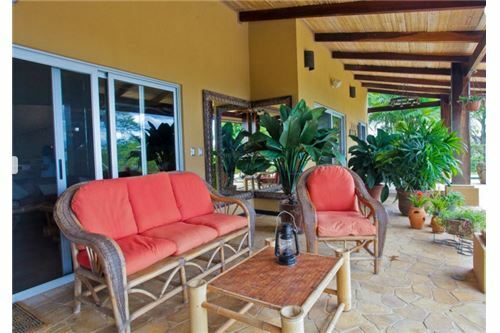 Jaco and Los Suenos Resort are only 25 minutes drive and offer a great variety of services and amenities such as golfing, world-class sport fishing, fine dining, tours, shopping, and a lot more. 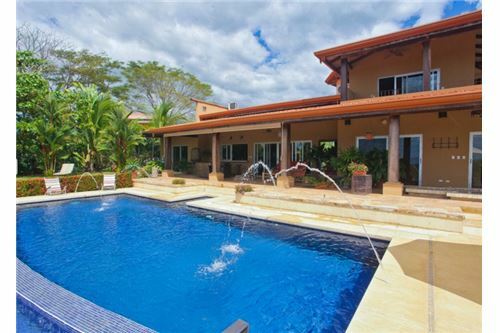 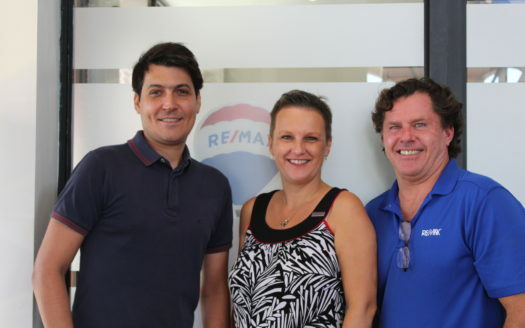 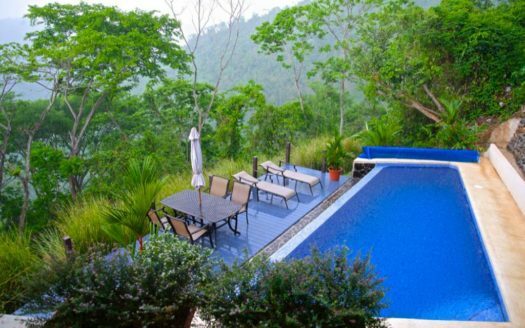 Close to everything you may need and enjoy and yet located in a very private and tranquil area, you will definitely find in the comfort of this gorgeous house the little piece of paradise you dream of when you think of Costa Rica.